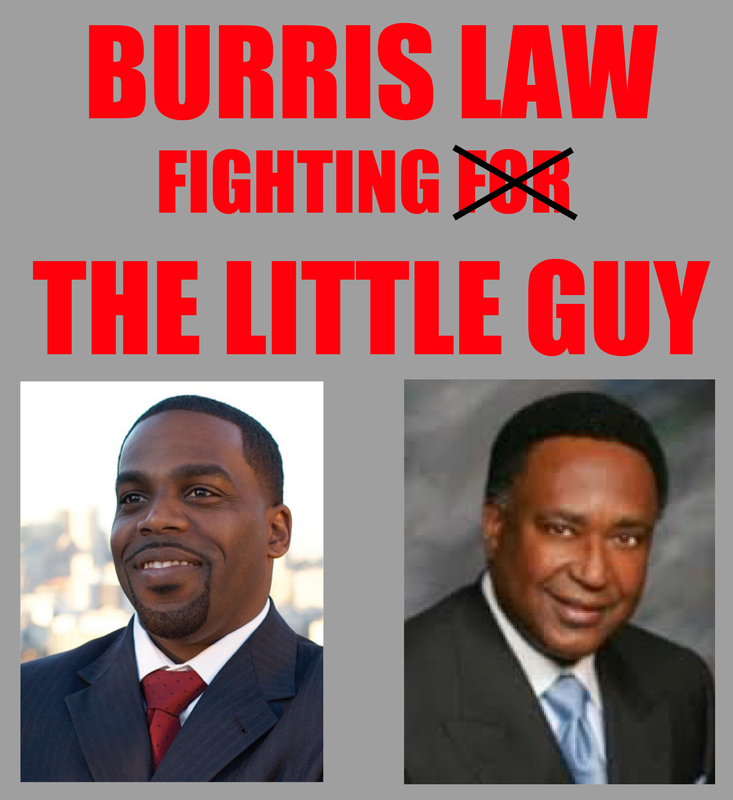 FIGHTING JOHN BURRIS FUNDED FRIVOLOUS LAW SUIT. BURRIS COULD CHOOSE TO COME AFTER YOU NEXT! Before my mother passed on, she needed 24 hour care. During this time, her caretaker borrowed $10,000 from my 92 year old father to have blankets made for her business. The blankets were to be shipped to us as collateral and then sold to her as she paid back the loan. Later she asked my father for another $2,000, claiming that the factory raised the price. She actually diverted $2,000 to other purposes violating the loan contract and come up short for the final payment to the factory. My father refused to give her more money and after the refusal things got contentious and she ended up getting fired. I contacted the Chinese supplier to find out the status. Turns out she was late on the final payment of $2,000 for months and I was warned of liquidation to cover the shortfall. I told the caretaker we would pay the balance if she made sure we would receive the blankest as collateral. She angrily refused and claimed we were trying to swindle her. During this time the agent who brokered the deal paid the balance and was holding the blankets for whomever paid the money. I contacted the caretaker multiple times but she refused to honor the loan contract. She said she would "never set foot on your property" and then forfeited possession of the blankets via e-mail. I was left with no choice but to make the payment. I have all the correspondences stored in my e-mail account and also filed with the court. She intended to have me do all the importing and pay the costs and then sue me, which she did after the blankets were in route by sea and also gained a restraining order to put the blankets under court custodial storage. My offers to continue with the contract were made again and again but she insisted on receiving ownership outright and demand another loan with a 2 year payment term. We of course refused. She refused to honor the contract claiming she was illegally fired. Case Thrown Out 4 Times And Then Sent To Trial! No one should ever have to face this set of circumstances when forced to defend themselves in a lawsuit. There were two judges in this case. Judge David Hunter threw the case out twice due to TOTAL LACK OF CLAIMED FACTS to support their complaint. After the second dismissal of the same complaint, Judge Hunter should have "dismissed with prejudice" (meaning no chance to re-file) as it is was waste of time and disrespects the court and all concerned as well a huge financial burden for the defendants. However, Judge Hunter allowed them to re-file it a third time, then he retired. Judge Hunter needs to be asked why he let them re-file a frivolous lawsuit. Judge Hunter was replaced by Judge Ioana Petrou who threw the case out another two times, allowing it to be re-filed each time, before ordering it to trial. The only explanation I can see for this is that the judges were biased in favor Burris's clients because Burris is so famous, constantly on TV and politically influential. There was no improvement to their filed complaint addressing the deficiencies ruled on by the court at any point. There filed complaints were missing all the elements required to support their claims and never improved. On our fifth effort to have the case thrown out, Judge Petrou ruled against my father and I even though DeWitt Lacy and his clients DIDN'T EVEN BOTHER TO SHOW UP and didn't call or notify the court in any way. Judge Petrou did not require Lacy or his clients to show any due cause for missing the hearing and they saw no consequences for the no-show. All three parties, the caretaker, her husband and their lawyer, missing the hearing at the same time with no notification indicates this must have been planned. This lack of action on the no-show by Judge Petrou with a ruling in their favor with no argument against our points in court, screams corruption. Total lack of facts to support their case! It seemed as though Burris and Lacy knew how the Judges were going to rule. They made no attempt in their complaint to make allegations against me for an actual case, and couldn't without committing perjury. The case was ordered to trial after the FIFTH FILING of pretty much the same empty law suit. Was this the plan? Let them re-file the case over and over, running up the costs to force a settlement? Lacy could not go to actual court with that worthless case. Judge Petrou would have also had her bad rulings exposed as a trial would have been a joke, embarrassing herself for ordering virtually the same case to trial that had been dismissed four times. Petrou knew they had no case and practically announced it in the pre-trial hearing exposing her bias in not ruling to throw it out "with prejudice" even though she knew it was worthless. She and Lacy badly needed this case to settle. She could not risk exposing in open court that she allowed a case this bad to make it through 4 dismissals and to actual trial in such bad shape. She seems to have been eating out of Burris's hand. As the trial date approached, there was a settlement hearing schedule where neither the plaintiffs nor their council DeWitt Lacy bothered to show up. (No-show #2) And, again, with no call or excuse claimed. Again, all three people not showing up with no notification? Totally planned, no other possible explanation. (Lacy must have known the settlement judge would be changed) The settlement judge was not happy and issued a due-cause order, which was totally ignored by Lacy and his clients. The settlement hearing was rescheduled but, to my surprise, It was now a Judge Herbert who had no problem with them missing the previous hearing and proceeded to push for a settlement which was completely favorable to the Burris clients totally ignoring our legal fees, my cross complaint and my fathers countersuit. I think this new settlement judge was selected by Burris and replaced the other settlement judge he didn't like and knew the no-show would go unpunished and may have been planned in advance. 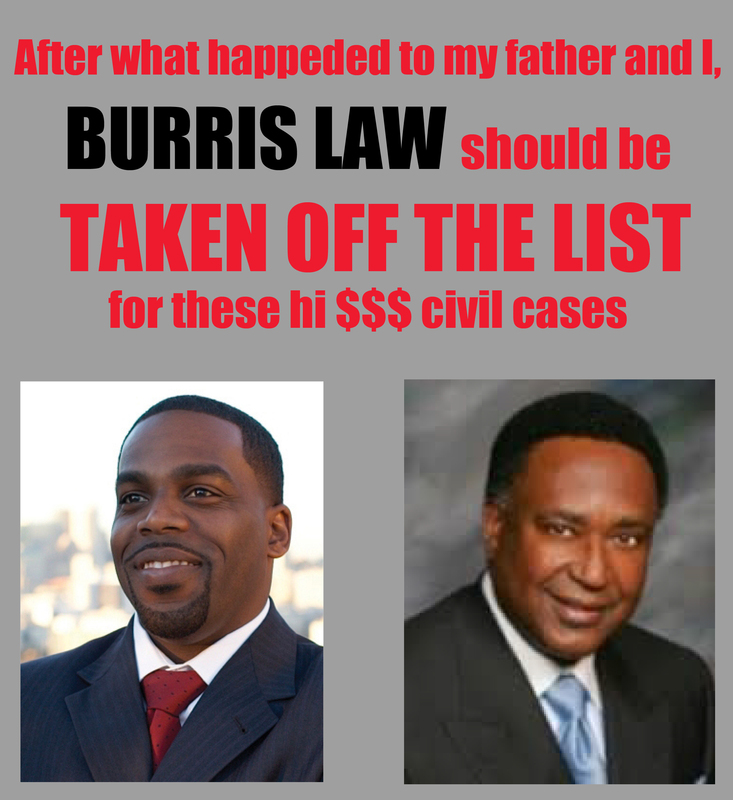 Judge Herbert also needs to be investigated for favoritism to Burris clients. How the judge was changed also needs to be investigated. Does Burris have a plant in the clerk's office? Judge shopping? 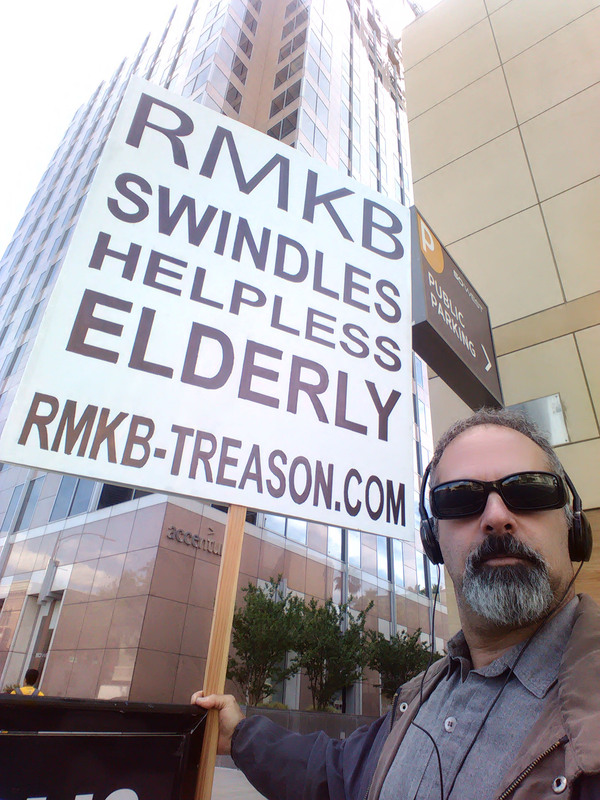 My third lawyer, Matthew Zumstein of RMKB was hired to file a simple motion to end the case after the plaintiffs refused to obey a court order for over a year demanding submission of discovery documents and answers to discovery questions they refused to answer. Showing with the simple proof that they disregarded the discovery order for over a year would have led to dismissal. What Zumstein apparently did, as shown in his filed briefs, was sabotage the motion with mock negotiations, avoiding showing the absence of discovery replies. This allowed the plaintiffs to weasel out of violating discovery order and allowing the plaintiffs to escape the discovery that was demanded by Judge Petrou by court order over a year earlier. Zumstein filed the faulty briefs without my review, claiming they had already answered the discovery, which was absolutely false. He told me he was not going to the hearing and it was settled. Then he covertly entered negotiations with Lacy and Judge Petrou without notifying me. Judge Petrou should have known they were weaseling out but did nothing. The mock negotiations perpetrated by Zumstien and Lacy were done without a single notification to me by Zumstien because he knew I would spot what was going on. As a result, Lacy's clients avoided probable terminating sanctions, which would have forced a final dismissal of the case against me. Instead, Zumstein increased the cost, stress and harassment by helping the opposition continue to litigate their totally hollow case against me. This apparent deliberate sabotage by Zumstein would have been exposed if it had gone to trial. The missing discovery and his conspiracy with Lacy would have been obvious. His lie that Lacy's clients had actually answered the discovery order would have been exposed. This was a big incentive for Zumstein to push for the terrible settlement in favor of the opposition. The plaintiffs and Lacy were sactioned $1000 for not answering discovery and ordered to provide the discovery ruled as neccessary for me to defend myself and gain evidence for my cross complaint and my fathers counter suit. They then ignored the order for over a year, not paying the sanctions and not answerring the discovery. If Zumstien would have done his sworn duty as an atourney, the case against my father and I would very likely have been dropped. It is probable that Lacy and the palsintiffs would have been found in contempt and subject to criminal charges. Zumstein not only greatly damaged my case and cost my father and I a huge amount of money, he also did Lacy and his clients a huge favor by avoiding contempt charges. After a very expensive three years and over 30 hearings about the evidence, lack of evidence, releasing the restraining order, motions for this and that, getting the case thrown out 4 times etc, we went into mandatory settlement conferences. My father was coerced into settlement by my own lawyer and Judge Herbert who both converged on him with a borrage of threats of high trial costs and "no better deal in court" since the opposition was "judgment proof". (My father had countersued for elder fraud and other claims. I also had a cross complaint against the plaintiffs.) 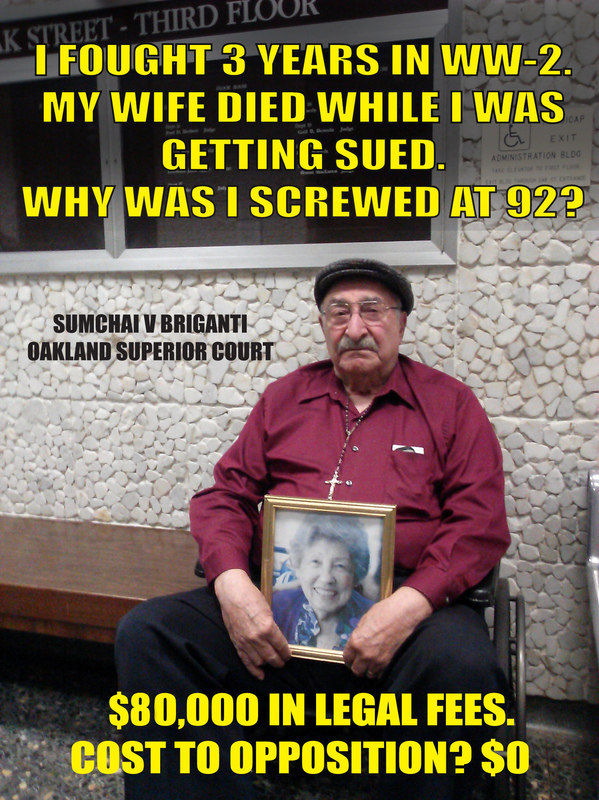 They caught me off guard and while I was ready to walk out and Zumstein and the judge exploited my father's stress over the continuing costs and repeated trips to Oakland for hearings (over 30 by then) to sign off on a terrible settlement losing any hope of recovering our legal fees. The settlement conference went on for over 10 hours over two days, which was extremely oppressive to my father with back pain due to a recent car accident. 92 years old with back pain and paying through the nose for years and driving back and forth over an hour, one way, over 30 times and spending half a day in court each time, had him very vulnerable. I did everything I could to stop him from signing just short of actually blocking the pen with my hand. The caretaker ended up getting out of paying our legal fees and bypassed facing our countersuit for fraud and my cross complaint and Burris and Lacy could add another notch to their legal bulldozer blade. They also avoided a malicious litigant law suit. 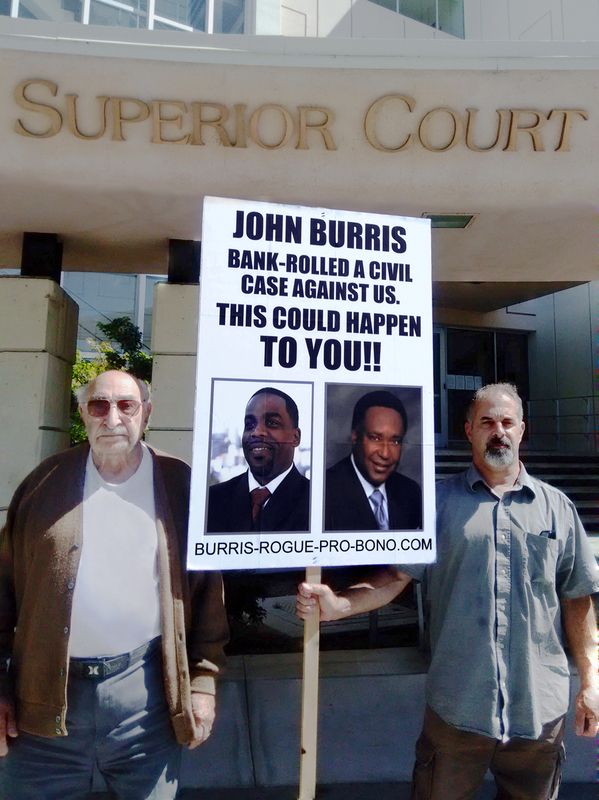 We are out around $80k due to the unfair backing by Burris and bad rulings by two corrupt judge's who kept allowing them to re-file it and a third corrupt settlement judge Paul Herbert who helped convince my father that the opposition was "judgment proof". I filed a complaint against Zumstein with the state BAR but they did nothing claiming that they can't issue penalties against attorneys for "errors". My attempt to have the fees refunded in arbitration also failed apparently for the same reason. His firm, RMKB, vigorously defended Zumstein in the fee arbitration, assigning a lawyer and spending probably as much defending him as he charged in fees. They could not allow their reputation to be tarnished by Zumstien. He has since moved on to another firm and his position as partner at RMKB has ceased. Did they fire him at a later time to avoid a direct connection to my case? 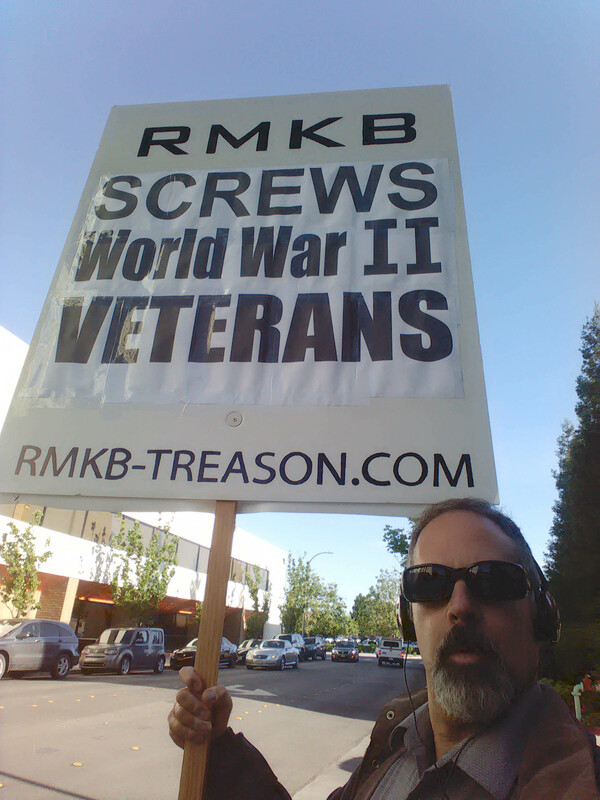 I protested their offices for over 10 hours each at two different campuses. DeWitt Lacy was probably drawing full hourly rate from his firm (approved by Burris) and being unethically rewarded by dragging it out as long as possible. He never exhibited any inclination to stop these frivolous proceedings. 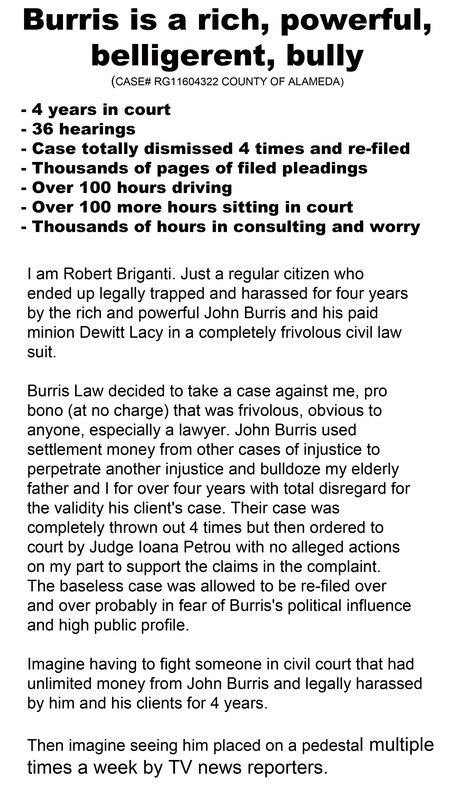 Since it is very unlikely he would drag out this frivolous suit, diverting time away from other cases with billable hours, unless he was being paid to go after my father and I.
Burris's clients finally ended up accepting the original contract terms plus about $5,000 but we were out $80,000. Lacy made out like a bandit, however, dragging the case out and then accepted a worse offer than what I offered years earlier. If Lacy hadn't latched on to this case, his clients would have settled years earlier before we were forced to waste $80,000. Lacy's "pro bono" was a service to enrich himself. We had to go to 4 more hearings in Oakland where Lacy continued his profiteering, claiming that there were missing items that we failed to turn over to his clients. It was the same claim that was overruled each time but Judge Herbert allowed it to be repeatedly called before the court. I requested Lacy and his clients be sanctioned for the repeated pleading of the same grievance but Herbert refused. This piles on the evidence that Herbert was biased for Lacy and Burris. Judge Petrou needs to be investigated for allowing the same case to be re-filed over and over without a respectful attempt to revise it to overcome the previous reasons it was thrown out. Could this have been the plan all along with Petrou knowingly aiding Lacy and his clients? Helping them with their strategy to wear us down with costs where Lacy did nothing but line his pockets? 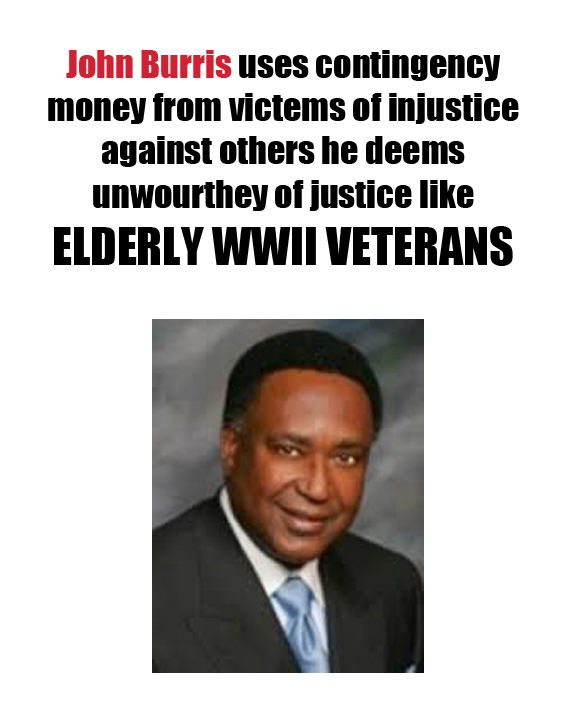 John Burris Is Not An Activist. He Is A Businessman. When There's Big Money At Stake. Burris Law capitalizes on suits against deep pocket defendants. 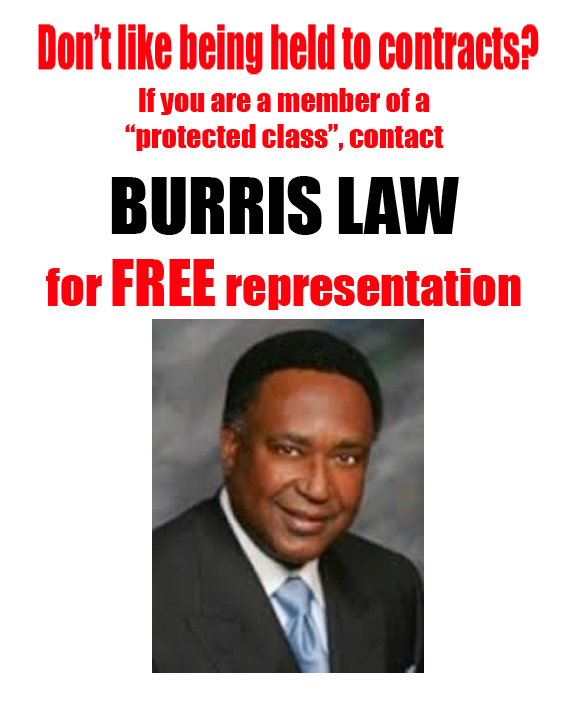 Burris appears in countless press conferences, speaking publicly about racial cases and Burris also appears on news shows as a pundit in racism, police brutality and many high profile cases involving racial overtones. He has been involved in some of the biggest cases including Rodney King / Los Angeles Police Department as well as the BART Police / Oscar Grant shooting. He has made a boat load of money as the attorney for many, many hi $$$ cases that didn't even go to court. They settle quick and he CASHES IN BIGTIME off the pain and suffering of his clients. Burris should publish his contingency fees for his cases to show how much money he makes from death and injury. If these cases with racial overtones somehow stopped occurring, John Burris and Burris Law would have to compete like all other normal Law firms. Why would you take this case, pro bono, against regular private citizens? Why would you go after a 92 year old WWII Veteran's property? Why would you take this case that has nothing to do with civil rights? Why would you dump money on a plaintiff when the defendants had to pay themselves? Why would you help someone who defaulted on a contract and then sued? Why would you see this go on for 4 years and not put a stop to it? What was your deal with Zumstien to help Lacy avoid contempt? Mr. Burris, have you no shame? Thanks for taking the time to get the facts on this case.